Let knowledge boost your business performance. Tap into the many strategies and research reports available such as the Central Otago District Strategy for Business and Economic Development, Central Otago Tourism Strategy, Otago Central Rail Trail Economic Impact Research, Camping Ground Research, the latest tourism statistics and more. The Central Otago District Strategy for Business and Economic Development is in a section of its own. Applied Research is where you will find economic impact reports, visitor surveys etc. Other Research is where you will find the likes of the Central Otago Tourism Strategy, latest tourism statistics, productivity reports, BERL economic reports and more. There is an ongoing programme of undertaking applied research for important events and initiatives. The main purpose of the applied research programme is to provide economic impact assessments or visitor surveys. Economic Impact Assessments look to provide the total impact of an event, including GDP (gross domestic product) and employment impact. Tables enable this to be calculated for the total upstream and downstream effects. 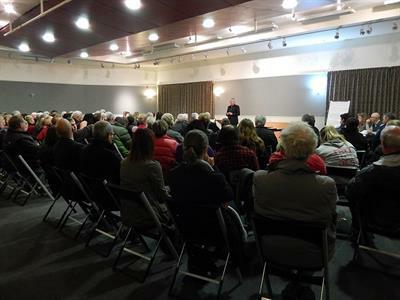 Many Central Otago communities have come together to develop individual plans for their community. These plans involve local people identifying what is important for their area, what are the points of difference and creating a vision of what the community would like for the future. You can access copies of Central Otago community plans by following this link. We will continue to add more strategies and reports as they come to hand. This strategy directs the actions of the Central Otago District Council (CODC). The information is freely available and is part of the CODC’s commitment to assist the local business community. Data and information-rich reports and surveys are available to help guide and develop your business strategy. Information includes visitor surveys and economic impact assessments for events such as the annual Art Deco Festival, Alexandra Blossom Festival and much more. There is a range of miscellaneous strategies, business reports and surveys that will provide you with further relevant background information. Here you will find the Central Otago Tourism Strategy, the latest tourism statistics, annual BERL economic profile and more.